Bradford Lodge is located in Rose Park, South Australia, in one of Adelaide’s premier suburbs close to the Adelaide City Centre. Travelling time to the city centre by bus, where many educational facilities and universities are located, is about 5 minutes. Students can cycle to the university which takes about 8 minutes. Walking distance is about 20 minutes through the beautiful east parklands, providing easy access to the University of Adelaide – North Terrace Campus, the University of South Australia – City West and City East Campuses, Flinders University – Victoria Square Campus and TAFE SA – Adelaide City Light Square Campus, as well as various private colleges and English language institutes. KITCHENS – Fully equipped kitchens are located on each floor for students to do their own cooking. Each resident has their own private fridge in their bedroom for food storage. AIR CONDITIONING – Each bedroom has its own remote-controlled air conditioning for cooling in summer and heating in winter. Some bedrooms have ceiling fans. RECREATION – Recreation and games areas are located throughout the building. The main social area is located on the ground floor. Televisions are located on every floor. The ground floor has a DVD player and satellite television. SMOKE AND FIRE CONTROLS – All bedrooms and common areas have been fitted with smoke and fire detection systems as well as fire sprinklers. The fire control system is connected directly to the fire brigade head office. These control systems are fully certified and serviced regularly and constantly monitored. 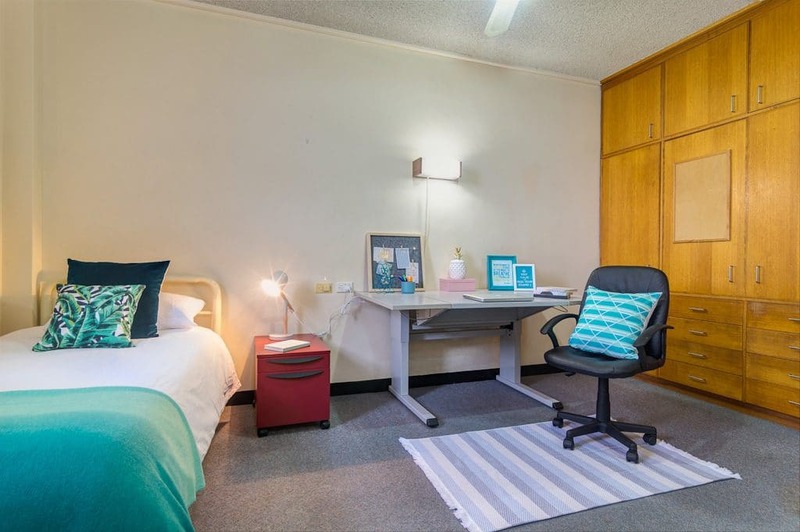 ENVIRONMENT FOR STUDY – Bradford Lodge provides a quiet and safe environment for students to study in peace and privacy. We provide a level of supervision to ensure a positive study environment is maintained, but which is not intrusive. 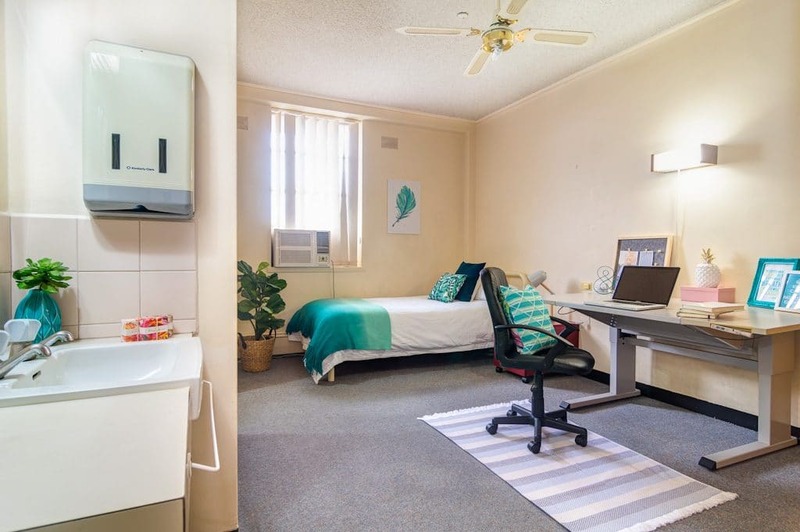 Each bedroom is fully furnished to suit the student’s requirements. Two adjoining bedrooms share a private bathroom in between. Only two girls or two boys or a brother and a sister will be placed in adjoining bedrooms. Standard room prices include Gas, Electricity, Water, individually controlled Air Conditioning (Heating & Cooling) and an individual fridge. A refundable room security bond which is equal to two weeks rent is required.